In 2016, The Birding Project met with researchers, graduate students, college professors, and citizen scientists, to learn and understand how technology is being used to help us understand more about birds. Since then, Christian has traveled in search of stories from those on the ground of conservation. From fighting the Border Wall to tracking long-distance migrants, technology is being used to make tangible change across the continent- and world. 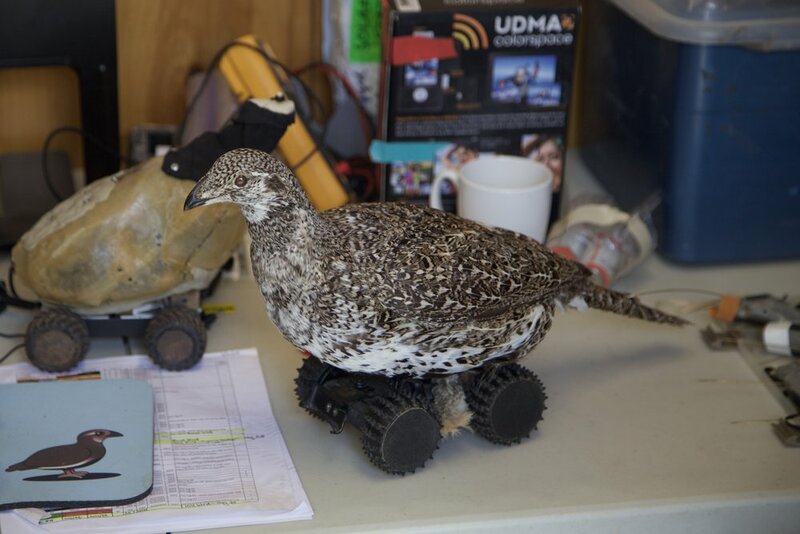 Cutting-edge robotic Sage Grouse are being employed in a unique study in Wyoming's Sagebrush Sea, providing valuable insights into the process of sexual selection. Through a better understanding of bird behavior, migratory movements, and response to human activities, we can make informed decisions about how to protect bird habitat in the places it matters most. As technology improves, so does our understanding of how to apply it to learning about birds. Migration routes that before were unknown are now highlighting important pieces of habitat that need to be protected. Teaching students how to use these tools is an important job in ensuring the next generation of ornithologists.